ONCHAN, Isle of Man – December 23, 2016 – Santa began his Christmas deliveries early with a stop at PokerStars, making one player a millionaire and two others $100,000 richer in a matter of minutes. Santa’s visit to a $100 Spin & Go table saw three players at PokerStars, an Amaya Inc (Nasdaq: AYA; TSX: AYA) brand, become the lucky recipients of some pre-Christmas cheer - to the tune of $1.2m in prizes. ‘Korpieworm’ scooped $1m with ‘carlmurr’ and ‘korrupt911’ walking away $100,000 richer after a fast and furious game that lasted just 48 hands and little more than ten minutes. In the final hand, ‘Korpieworm’ called an all-in preflop raise from a short stacked ‘carlmurr’ with [5h 5d] and must have been elated to see his opponent’s [3d 3c]. The board ran out [6c 9c Ad 8h] [7s] giving ‘Korpieworm’ a straight (which he really didn’t need!). Spin & Go tournaments are 3-max hyper turbo tournaments with just 500 chips given to each player. Each tournament has a randomly assigned prize pool giving players the chance to win up to $1,000,000 in minutes, as was the case this time around. 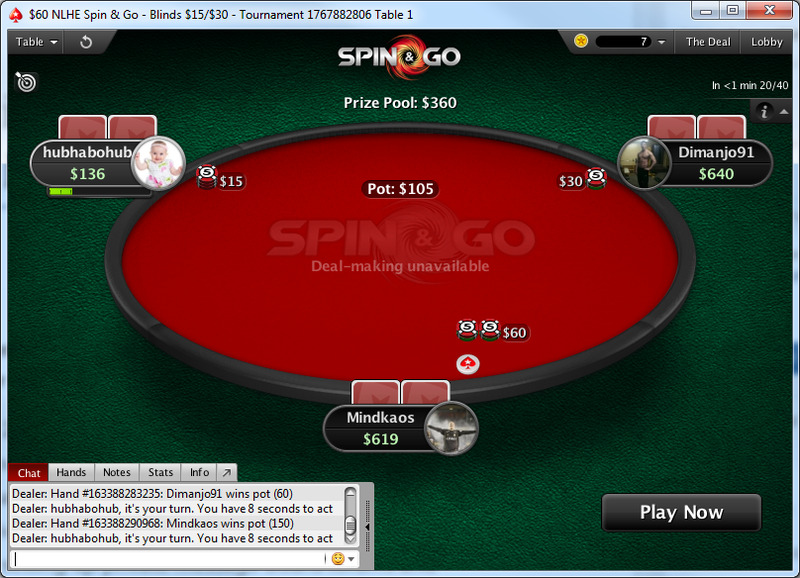 Buy-ins range from $0.25 to $100. ’Korpieworm’ is the fourth player to win the tournament this year alone and the seventeenth since the game was launched nearly two years ago. PokerStars is the flagship brand of Rational Group, which is ultimately owned by Amaya Inc. (Nasdaq: AYA; TSX: AYA) and operates gaming-related businesses and brands, including PokerStars, Full Tilt, StarsDraft, BetStars, PokerStars Casino and the PokerStars Championship and PokerStars Festival live poker tour brands (incorporating the European Poker Tour, PokerStars Caribbean Adventure, Latin American Poker Tour and the Asia Pacific Poker Tour). Amaya, through certain subsidiaries, is licensed, approved to offer, or offers under third party licenses or approvals, its products and services in various jurisdictions throughout the world, including in Europe, both within and outside of the European Union, the Americas and elsewhere. In particular, PokerStars is the world’s most licensed online gaming brand, holding licenses or related operating approvals in 16 jurisdictions. PokerStars.com and PokerStars.eu operate globally under licenses from the Isle of Man and Malta governments, respectively.